Makeup brushes are the most important thing when you are doing your makeup, no matter how professional you are or how much expensive cosmetic you are using but if you are not using good quality brushes you can not get the well blended and flawless look there are various kind of makeup brushes are available in the market to choose from but today the brushes kit im going to review is basically a starter kit and a very cheap to buy recently i got this starter kit from the bornpretty store, bornpretty store is well known online store because of its nail art but they also deal in cosmetics, makeup tools and brushes the makeup brush set i got them is called 7pc makeup brush set comes in a beautiful butterflies pattern role with silver coating, these are also available in golden and copper, every pack includes 7pc of makeup brushes with beautiful butterfly brush roll. The colors of the brushes are random. 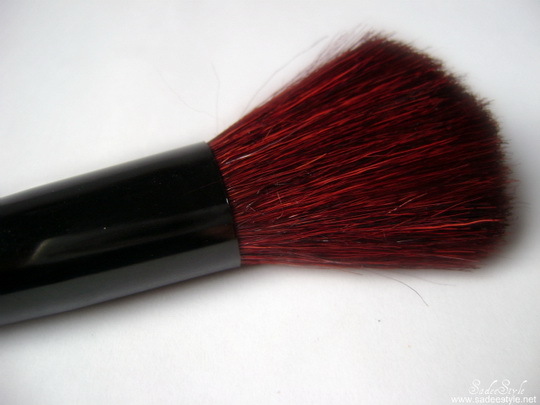 This brush is for applying blush/bronzer or face powders. 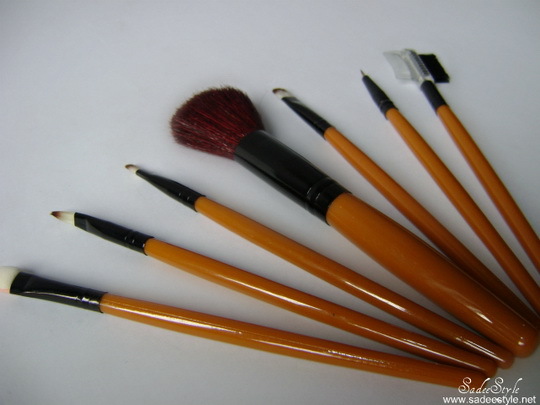 Honestly i don't like the brush, it has very rough, unshaped and hard bristles and not soft at all also hair of this brush come off easily also do not come smoothly on face but as this set is not expensive so you can complain. 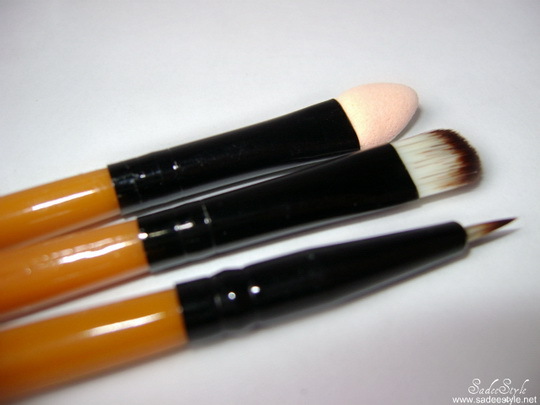 Sponge tip brush is for applying eye shadow i love how soft and adsorbing it is good for applying loose pigments and good for blending cream color without an extra fall at under eye area also it's very durable you can wash it easily. 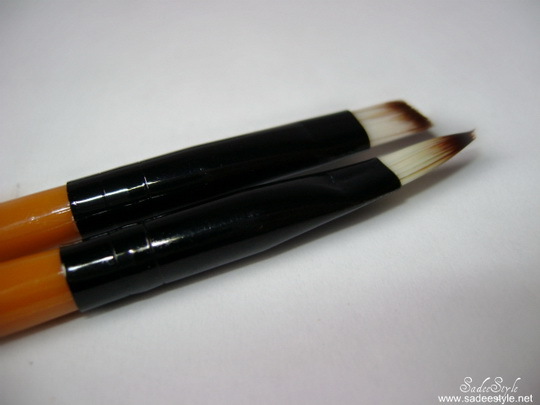 This brush is the most perfect brush of the set i love such brushes very good for applying loose pigments and cream color but not suitable for matte colors. This brush is just fine with quality can give a nice look and can be use for a long time if you use it with little care. 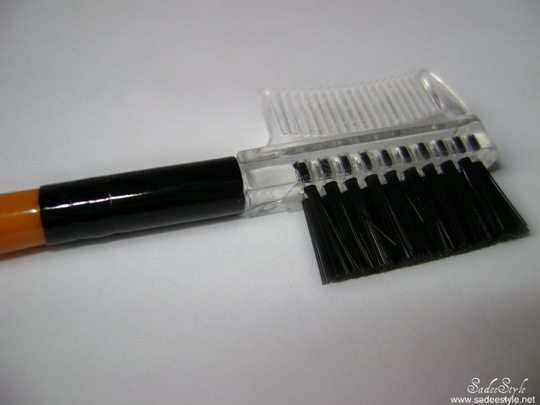 This lash and brow comb brush is a good quality brush both sided of the brushes work well and very well shaped. This brush is like the most its just so perfect for applying color at the lower area of the eye very well shaped and durable. 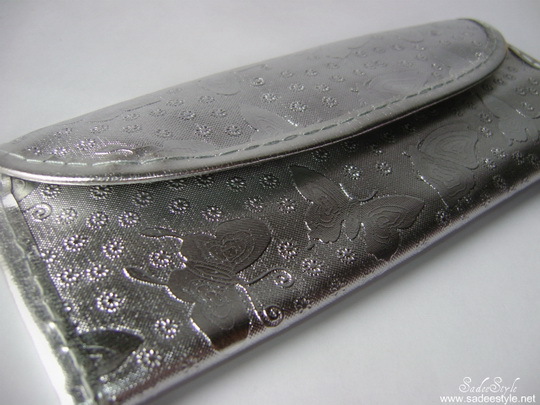 Oh Waoo..Love it & really affordable for all :) thanks for sharing dear !! Thanks for reviewing this. 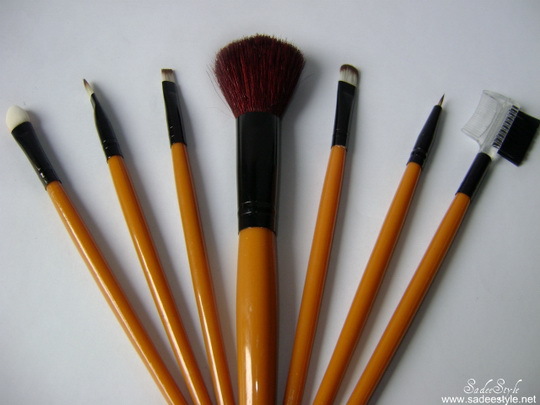 Been looking for some makeup brushes but don't want to shed the big bucks for MAC brushes.